VR/AR, AI and blockchain especially give us the opportunity to spin the current advertising model on its head. Technology has had a fundamental impact on the advertising industry. The arrival of adtech has transformed the way the industry thinks, making it easier to buy media and to track campaign performance. But this revolution hasn’t always been for the better. The arrival of adtech has made advertisers forget how to be creative. As we focus on efficiency, we have lost track of how advertising can help our customers. Unsurprisingly, we are losing them. How did the industry get to this point? 20 years ago, there were limited opportunities for advertisers in newspapers, radio, and TV. Only a few had good enough reach to justify the spend. Then came the internet, with millions of websites and an almost unlimited inventory that reached audiences worldwide. Suddenly it wasn’t that easy for a small brand, or even a giant like Coca Cola, to know where to place their ads. Enter adtech. Networks and exchanges were created to centralise the supply and demand for online advertising. But these technologies reduced the amount of control advertisers had over ad delivery, leading to multi-billion-dollar fraud in 2016 from ad stuffing, bots or fake impressions. In fact, studies show that over 80 per cent of ad networks carry fraudulent impressions, whether they are aware of it or not. 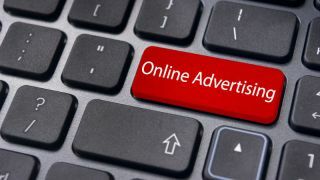 The internet advertising boom has created three major issues for our industry: intrusiveness, relevance and integrity. People hate being bombarded with spam that’s not relevant to them, but they are also concerned about their privacy and the data they share with companies. Current advertising models fail to strike this balance and deliver good ads, at the right time. New technology is the cure the advertising industry so desperately needs. VR/AR, AI and blockchain especially give us the opportunity to spin the current advertising model on its head. With these technologies, advertising can deliver value for customers, advertisers and publishers, and solve those three pertinent problems. We’re on the brink of another revolution. In the future, advertising doesn’t interrupt. Whereas web banners compete with content for the customer’s attention, VR ads don’t. There is little doubt that immersive experiences will be the future of advertising. Although often grouped together, VR and AR will serve different purposes in our not-so-distant future. While VR will become the new standard for home entertainment, AR will become an extension of mobile, overlaying data on top of our everyday reality. The growth of these technologies will bring new opportunities for advertisers. But it will need to be advertising with a difference. The current state of online advertising is too intrusive and simply won't be tolerated in VR/AR, where immersion is key. Brands will need to find a new way to tell their stories. In a VR experience, the user is completely immersed and can impact the story by looking and moving around. People in VR explore their environment and, as they do so, they can also explore any ads or placements that are natively integrated into the scene – a can of Coke on a table, or a branded stop in a street, for example. From my own experience at Advir, I’ve seen first-hand the incredible results this kind of immersive advertising can deliver. Roughly a third of users engage directly with these ads, and about 67 per cent can remember the brands they had seen during a VR experience. This is a huge improvement, especially when compared to an average 1 per cent engagement on the web. One of the biggest problems for advertising today is spam. Spam is created because advertisers can’t properly target their customers. They don’t know what people like, or what they have already bought. So, they end up guessing or showing the same old ad anyway. Consumers hate spam, and so do advertisers - it costs money with very little return on investment. Since programmatic advertising was introduced, advertisers have a much better understanding of who their audience is and what they like. But the context - where you are now, what action you have just completed - is still hard to capture. AI can provide this context. Tech expert Robert Scoble believes we are entering the age of context, where devices can understand the environment around them, learn about external events, and use that information to better serve the customer. Devices today can wake us up early because it snowed last night, and they can contact the people we are supposed to meet with to warn them we’re running late. That’s context, and that’s powered by AI. AI is the engine that can make VR/AR ads happen, well. If the advertiser knows what you want, when you want it, then you’ll only see things you need. This comes with its own caveat, of course. The system must learn the consumer’s habits to deliver accurate results. This may sound creepy, but many devices are already gathering this information. The Amazon Echo, for example, is one device that learns your habits to make suggestions and deliver a great, non-intrusive experience. As long as companies use data in the way they say they do, and do not resell it, then I believe the value exchange is worth it for great customer experience. Research estimates that around a third of ad impressions do not reach a real human. How can brands trust online advertising, if they’re wasting a third of their budget? One potential solution is blockchain. Although originally developed as the technology behind cryptocurrencies, today there are blockchains for everything - from money transfers, to authentication, to gambling, and even advertising. Blockchain works by decentralising power to the network itself, rather than being dependent on a unique third party. Each block in the chain contains a transaction – or in our case, the ad impression. Every member of the network, which is every advertiser and publisher, can access the chain to see the order of impressions since the beginning of time. To add a new block to the chain, each impression would be verified by other advertisers, or members of the network. Impressions are only completely verified when the network reaches 50 per cent consensus, greatly reducing the risk of fraud. Fraud can also be identified and blacklisted in real time, before significant damage can take place. This is a drastic change in business model for advertising, but one with considerable potential to improve the integrity of tracking results. With a more reliable source to draw from, advertisers will be able to make more informed decisions on where and when money should be spent. VR/AR, AI, and blockchain are three technologies that I believe will change advertising for the better. I’m an optimist, and I believe advertising is meant to help people make purchase decisions, not manipulate them into buying something they don’t need. When we give advertisers the means to reach the right audience, and empower publishers to make more revenue, then we have a golden opportunity to fix our broken advertising industry and better serve our customers.